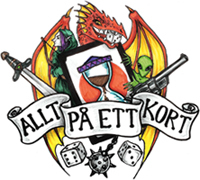 Andra expansionen i Dance of Shadows-cykeln till A Game of Thrones: The Card Game (2nd Edition) med 60 nya kort att bygga lek med! 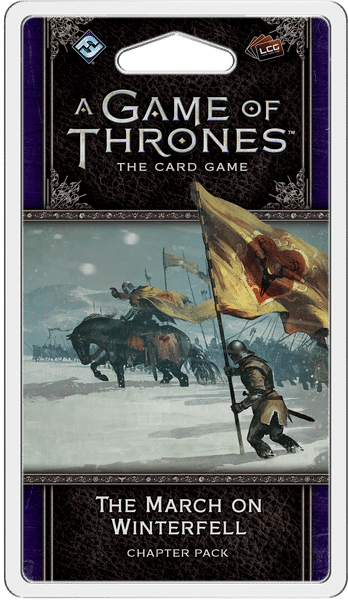 The March on Winterfell is the second Chapter Pack in the Dance of Shadows cycle for A Game of Thrones: The Card Game. Featuring three copies each of twenty new cards, this pack draws you into the world of George R. R. Martin’s A Song of Ice and Fire series where the key players in the game of thrones find themselves surrounded by enemies. In the North, Jon Snow faces impossible choices that tear him between his duty to the Night’s Watch and the bonds that still tie him to the family he left behind. In King’s Landing, Cersei Lannister attempts to maintain a hold on the seven kingdoms as the Tyrells and the Faith of the seven split the peoples’ loyalties. And in Meereen, Daenerys Targaryen must learn which sacrifices she must make to win the hearts of her people as assassins and a deadly plague tear the city apart.